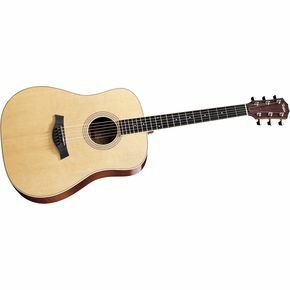 The Taylor DN3 Dreadnought is probably the best quality solid-wood guitar you will find in this price range. Built on the classic dreadnought style, the DN3 is a little wide of shoulder and deep of body to be easily handled by everyone. But for those who can, playing a DN3 is an unforgettable experience. Everything about this handsome devil is impressive. It handles like a dream for one thing, and feels great in your hands even when just holding it. But once you start creating music on this baby, you’re never going to want to stop. It doesn’t matter if you play bluegrass or blues, classical or rock and roll, the DN3 responds well to all types of music and all styles of play. The wider neck is particularly great for fingerpicking guitar. So if you don’t mind the $1,099 price tag (which includes a hardshell case) then you’re in luck, because the Taylor DN3 is definitely a solid choice that will meet all your playing needs, and a guitar that you will never regret purchasing.